Well I only made it 17 days…. at least here on the blog. I’m hoping in 2015 I’ll be able to do the full 31 day challenge. But that doesn’t mean I stopped cooking in cast iron. In fact I inherited 4 more pans from my husband’s grandmother this past week and I’m even more inspired then ever. I’ve had real trouble with “clear broth” soups like chicken noodle or turkey noodle. This is my most successful yet. A turkey noodle made from the lemon-rosemary turkey I helped prepare for our Canadian Friendsgiving. The secret? Gravy! Use all the leftover gravy right in your broth. And DON’T boil the bones, only simmer them. Until they are soft to draw out all the nutrients (and flavor!) Yummmm! I did make quite a few more dishes during October in my cast iron – they just didn’t make it to the blog. This Italian Cassoulet was from the book “Bread and Wine” by Shauna Niequist and if my rantings haven’t yet persuaded you to snag your copy maybe these photos will. The best part? It’s gluten free and dairy free so it’s a great choice for company – so everyone gets to eat the same thing! Here are a few things I learned along the way. 1. Cast iron is low maintenance. 2. The stuff is heavy. 3. The food I cooked in my cast iron turned out delicious! 5. Seasoning is key – cook bacon in it! Don’t wash with “grease cutting soap.” Choose a natural soap, or just use a scrubber and hot water. Baked chicken and root vegetables is a “go to” for me when I have little inspiration or not so much in my fridge and pantry. Here I used small potatoes, onions, chicken thighs, and garlic. Plus lots of olive oil and seasonings to sear the flavor in on the stovetop before popping it in the oven to bake. Nice and hearty. 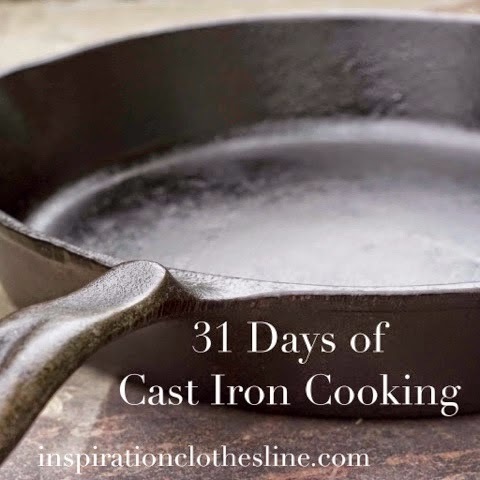 All that said – I’ll be continuing to share my cast iron cooking for those who are interested. But for now I’m going to blog on some other topics. Trying to stay motivated and inspired.